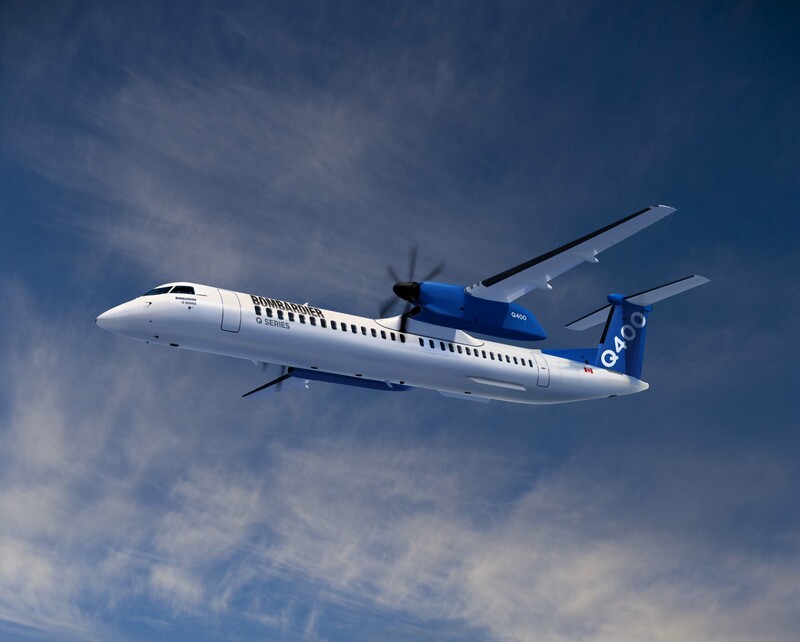 Bombardier Commercial Aircraft announced today that its 90-passenger Q400 aircraft configuration has received its certification from Transport Canada, becoming the first in-production commercial turboprop in the world to reach that capacity. “With increasing growth in the number of passengers per departure in the turboprop market, we are excited to offer our customers a higher-capacity configuration and 15 percent lower cost per seat compared to the previous standard Q400, leading to more profitability potential for airlines,” said Todd Young, Head of the Q Series Aircraft Program, Bombardier Commercial Aircraft. “This milestone certification showcases -- once again -- the unique versatility of the Q400 turboprop and our continued commitment to the evolution of the program. “Upon delivery later this year, our launch customer SpiceJet will become the first airline to take advantage of the profitable and efficient operations of the 90-seat Q400 aircraft following its order of up to 50 in 2017,” added Mr. Young. Combined with the Q400 aircraft’s unique speed flexibility, which is driving higher scheduling efficiency, this new segment solution is perfectly adapted to high-demand turboprop markets and will further enhance economic connectivity between smaller towns and major hubs. The 90-seat configuration represents another step in Bombardier’s continuous improvement of its Q400 aircraft, aimed at addressing traffic growth and customer bottom line. Other improvements under development includes a 2,000-lb-increase in payload capacity and an escalation of the A-Check and C-Check intervals from 600/6,000 to 800/8,000 flight hours. An image of the Q400 aircraft is posted with this news release at www.bombardier.com.